Franklin Savings Bank is a community bank that puts customers first, offering in person, online and mobile banking. Try Norway, for the best banking experience in Maine. We offer business and personal banking services including checking and savings accounts, mortgages, construction, commercial loans and e-banking. Your financial future deserves nothing less than Northeast Bank. Arts, Entertainment, Adventure, and More in Western Maine. Shared Branching and a full range of banking services including free electronic banking with online bill pay. Part of SURF ATM network with more than 200 surcharge free ATM locations throughout Maine. We develop customized workforce training and professional development programs. Contact us today to learn more about how we can help improve the skills and knowledge of your workforce. Commercial Offset Printing / Wide format poster sign shop / In house bulk mailing facility.Experience & quality combined for successfully printed products. See us for any of your printing needs! Photographer with over 17 years' experience. Weddings, high school seniors, expected mothers, newborns... Fashion-inspired, Christal captures the human emotion that is so important. We offer horseback riding lessons, therapeutic experiences, trail rides, pony parties, and petting zoo. Imagination Farm has dairy, meats, and produce. We are a licensed kennel and breed quality dogs. Dark Fin Studios provides contemporary and responsive website designs that have both purpose and appeal - at an affordable rate. All Types of Masonry Brick, Block, and Stone Work. Fireplaces and Chimneys. NorthEast transports all size groups using 56 and 47 passenger motorcoaches, school buses, 24 passenger mini-bus, 14 passenger van, 11 passenger Mercedes Sprinter, SUV, limousine and Town Cars. Carpentry, general contracting, and design. Yeah Bud! Photography provides coverage of weddings, parties, people, pets, products, and fine art. For superior quality photographs and reliable service, give Craig a call at Yeah Bud! Photography. The OXFORD HILLS SCORE provides clients with free assistance in a wide range of business and financial knowlege that can be applied to their existing or new business. Offering professional advice, top notch service, and all types of auto, property, business, life, and health insurance coverage at a fair price. The Tax Loft is an accountancy serving Bethel, Maine. We build strategies, systems, and structures to help clients. Please click on our website for a fuller understanding of our services. 1st class transportation for all your transportation needs – airport, nights-out, weddings, special events. Fully-insured and DOT-certified. Operating sedans, stretch limousines, vans, busses. Traditional Funeral Services, Graveside Services, Cremation Services. We are local, family-owned funeral homes with six locations throughout Androscoggin, Oxford, and Cumberland counties. We are proud of the recent improvements to Bethel's Greenleaf Chapel. Discover Maine Magazine is dedicated to bringing the amazing history of the great State of Maine to readers in every corner of the state and to those from away who love the rich heritage and traditions of Maine. From the history of MaineÃ¢â‚¬â„¢s mill towns, to the traditions of family farming and coastal fishing, each month Discover MaineÃ¢â‚¬â„¢s stories tell of life in the cities and towns across Maine as it was years ago. Oxford County's premier dealership since 1909. As a member of Bethel Area Chamber of Commerce, you have the power of Constellation, a national leader in the retail energy industry and the Bethel Area Chamber of Commerce's endorsed energy supplier. Law firm specializing in real estate law and estate planning. Builder of distinctive homes. Satisfied customers. Call for references. Locally-owned and -operated multipurpose transportation source. Fully insured, our drivers are friendly, knowledgeable professionals, and our vehicles are comfortable, reliable, and clean. Hancock Lumber is a uniquely integrated company that sustainably manages 12,500 acres of Eastern White Pine timberlands, operates 3 Eastern White Pine Sawmills, and runs a network of building supply stores including 7 retail lumberyards, 2 discount outlet stores, and a home design showroom, Home Again by Hancock Lumber. Key Bank's unwavering commitment is to provide individuals with the products and financial solutions they need to improve their lives. ''Form to finish!'' Slabs and foundations. Residential and commercial. The Western Maine Agency of United Insurance is a local insurance office, within a statewide network of 14 agencies from Fort Kent to Portland. Whether your need is coverage for your home, auto or business and all the risks that come with it, you'll tap into a remarkable depth of resources to protect your valued assets at a fair price. Community Concepts Finance Corporation is the economic development organization for Oxford County and a source of business loans for Androscoggin, Cumberland, Oxford, and Franklin Counties. FutureMetrics is recognized as one of the leading global experts in wood pellet manufacturing project development. FutureMetrics is also recognized for its expertise in quantifying the financial feasibility of biomass energy projects and quantifying the economic impacts of those projects (jobs, growth, tax revenues). Key members of the FutureMetrics team are highlighted below. Also a selection of our recent clients is listed below. Crockett & Wright, P.C. provides legal services with local knowledge and statewide experience, serving individual consumers, businesses, large or small, and municipalities. Carol Savage is a wedding, family, children, senior portrait, and pets, photographer specializing in modern lifestyle photography. Carol offers on-location, natural light sessions with a fresh new approach to custom lifestyle photography. The Bethel area's local radio station, with 2 places on the dial...and the only regional radio service between Portland and Augusta. We are a country station delivering more than country music. Call in and tune in 7 days a week at 8:30am for Country Corner, a 30-minute call-in swap shop. At noon, there's the "All Request Cafe." Listen, too, for Nascar racing and lots of other sports. Local news, sports, community calendar. Our mission is to provide high-quality, cost-effective electrical and generator service on schedule by employing and supporting motivated and focused employees. We will ensure the longevity of our company through repeat and referral business, achieved by customer satisfaction because of our high quality of work. Full service roofing, both repairs of old roofs and new construction. Serving the greater Bethel area. Commercial and residential roofing, framing, and siding. Free estimates. Competitive pricing. Fully-insured. DECD's top priority is to create economic opportunity for the people of Maine. We look forward to making a difference and getting the good news out about all that Maine has to offer. 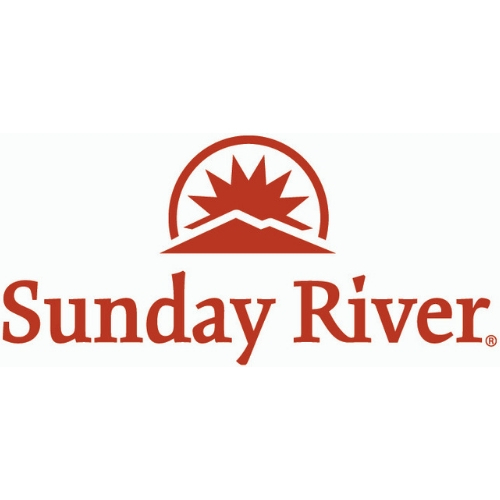 Outside Television Sunday River offers local programming that gives you the inside scoop on shopping and dining. You'll also find a full slate of SRTV programming and your local conditions. 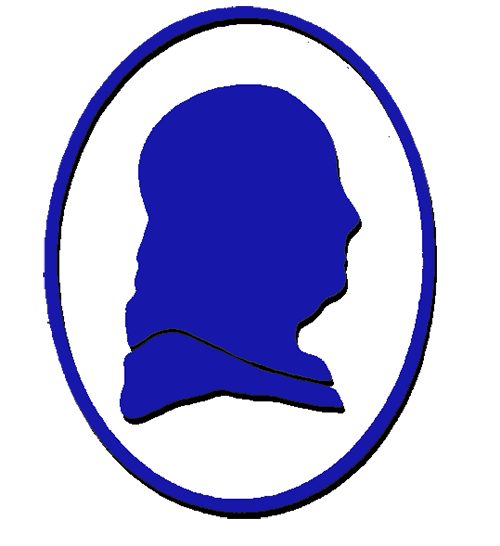 TravelMaine is the largest private publisher of tourist information for Maine. Infonomic Data helps businesses realize rapid growth. We're a consulting firm specializing in marketing and sales strategy, digital advertising, product strategy, technology strategy, and analytics. We're Your Full Service Copy Center and Printer. Authorized UPS Shipping Agent. See our wedding invitation collection! Finely crafted sustainable buildings. Residential and commercial. A limousine and executive car service company for all your transportation needs - sporting events, weddings, anniversaries, nights out, bachelor/bachelorette parties, etc. Courteous and reliable. Patriot Renewables, LLC is a developer, owner, and operator of commercial-scale wind energy projects. We provide clean portable toilets and timely service for large events and single unit rentals. Call or text us, (207) 357-5681. Landscape Design, Exterior Masonry, Paver Walkways and Retaining Walls, Foundations and Septic Systems, Wells, Tree Services, Snow Removal. Mulch and compost. Creating stunning photography and video content for real estate, vacation rentals, commercial, or design. Serving the western Maine, Northern New Hampshire regions. Total Car Care Center Import and Domestic Specialists. Now offering car detailing -- exterior and interior.